Unfortunately, you can’t be present at the MagicCon 3 in person, but you still want to have the much sought-after autographs of your favorite stars? Of course this is still possible, because we have created the page MagicCon Send-In-Service for this very purpose. With this special service you can either order a standard autograph on a glossy photo (with or without dedication) or have your own personal merchandise signed. No matter if Blu-ray, poster, mug, action figure or book, the MagicCon Send-In-Service turns all sent souvenirs into a unique and valuable collector’s item. It’s very simple. On the page MagicCon Send-In-Service the individual selection options and the procedure are described in detail. After we have received your desired autograph during MagicCon, you will receive your collector treasures after the event as an insured package. 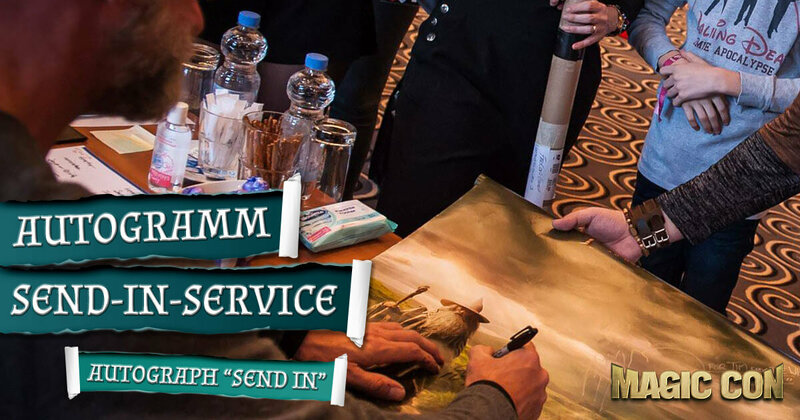 So, have a look at MagicCon Send-In-Service and start the autograph hunt.